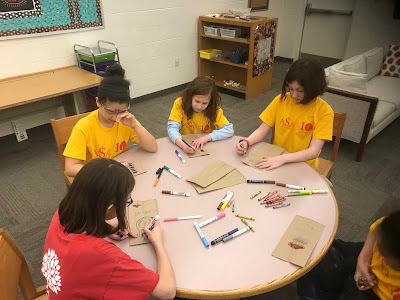 Each week the ASA kids decorate plain brown paper lunch bags as gifts for the Sack Suppers. Each bag beautifully wraps a healthy meal sent home with kids daily. These bags are a vital component as KFB delivers more than 7000 brown bag Sack Suppers in West Michigan weekly. 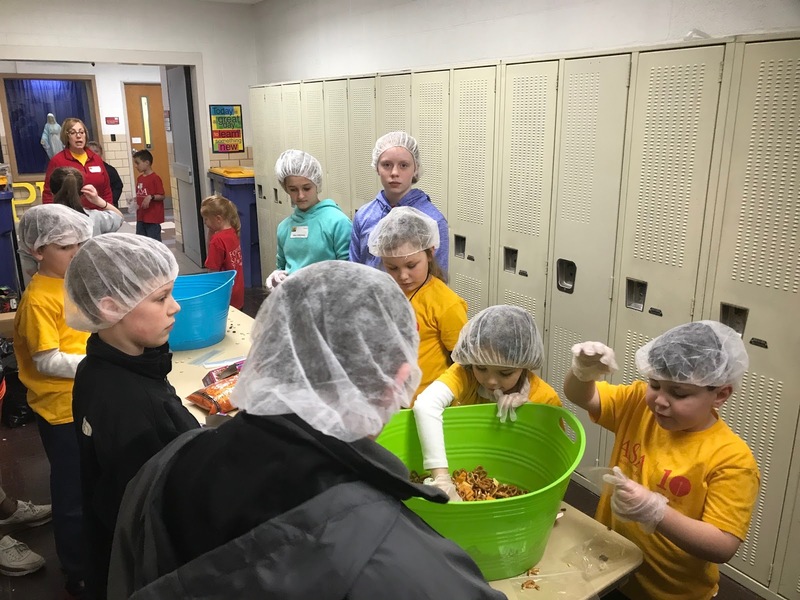 This year, ASA families collected and donated enough oat cereal, pretzels, raisins, cheddar crackers, and snack-sized zip bags to make and package trail mix for the Sack Suppers. 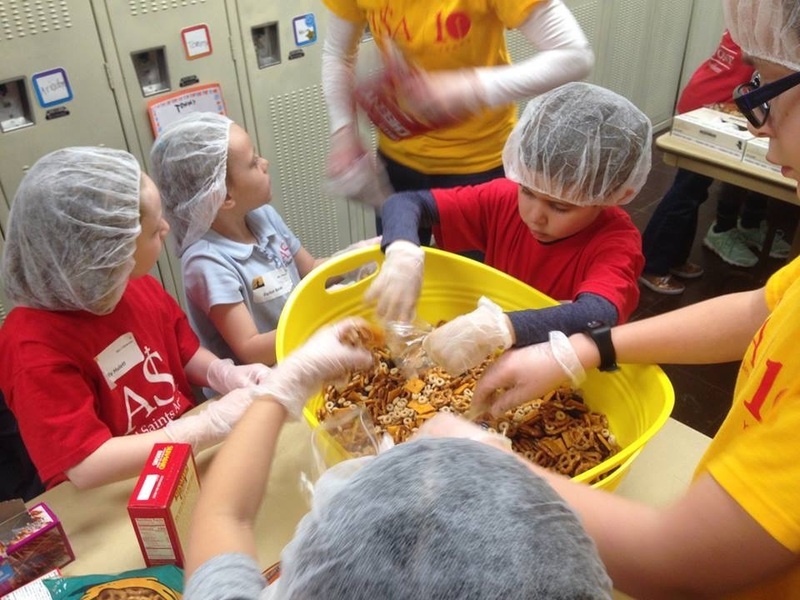 Our ASA hands packed almost 3000 snack bags filled with trail mix for kids' Sack Suppers in our community!!! Our dollar jeans days collected almost $1700 cash for KFB to continue serving the kids and families right here -- close to home! Recently, Troy was sharing KFB information with another area school and he proudly used the extraordinary energy that ASA has put forth over the last two years as an example of the success of Kids Helping Kids right here in GR. So our light is shining!!! KFB is just one more way we are sharing the Gospel. Our outreach contact is Troy in the Kids Helping Kids department of Kids Food Basket. Kids Helping Kids serves greater Grand Rapids, Holland, and Muskegon. Kids Food Basket is currently located at 2055 Oak Industrial Drive, Suite C, Grand Rapids, MI 49505 between Maryland and Plymouth. However, they have been the gracious recipients of land on Leonard between Plymouth and Perkins (near the Yankee Clipper Library). A huge working garden has grown fresh vegetables, and a ground breaking is planned soon for a new KFB headquarters. Many volunteers are needed in many positions every month to make sure that Sack Suppers are available to community families every day!